This section provides access to Jury Hero resources (videos, podcasts, interviews, literature, memes/graphics, etc.) as well as links to outside resources we recommend. For decades, the Fully Informed Jury Association (FIJA) has been the premier source of jury information and tools to empower awareness of jury power. Click the image above for more information. 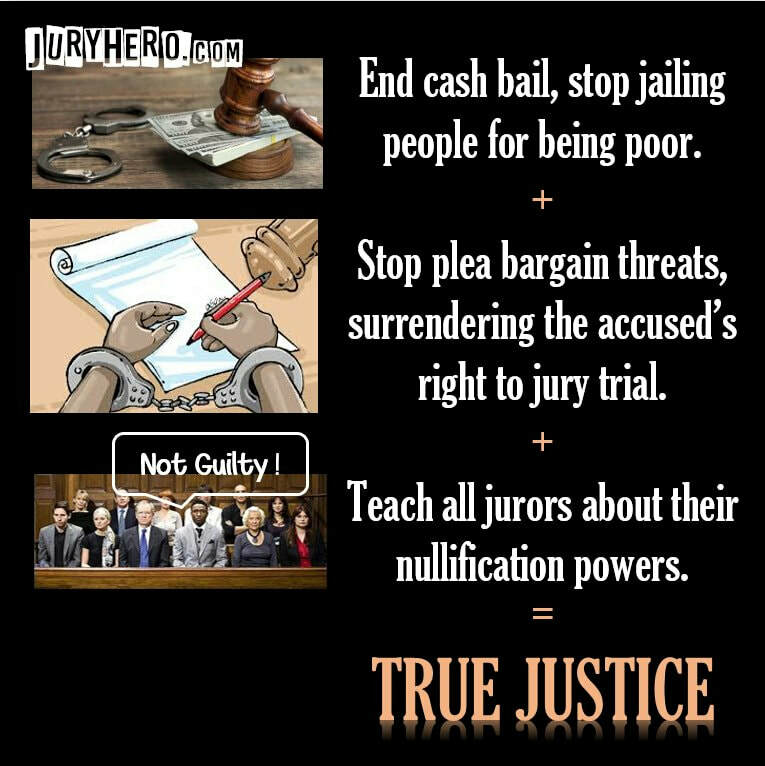 Click this image for important articles relevant to jury nullification from FIJA's executive director, Kirsten Tynan. mission is to raise funds to provide free bail so low-income defendants can fight their cases from a place of freedom, retaining the presumption of innocence.